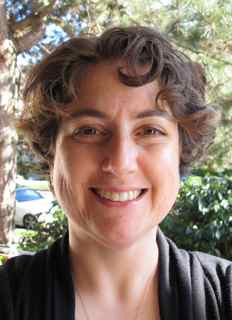 The Tuesday October 25 PsychologySalon presentation at UBC Robson Square (7-9 pm) will feature Dr Nancy Prober. Dr Prober is a registered psychologist at Changeways Clinic providing treatment for anxiety (including trauma-related anxieties) and depression. She has seven years of experience providing trauma-focused assessment and treatment for veterans, soldiers, and RCMP personnel. I spoke with her about the topic and the upcoming talk. A trauma, as psychologists use the term, is an event that is experienced as life-threatening. Day-to-day use of the word in our culture is quite loose, but as a technical term it is quite specific. We’d say that something is a significant trauma when there is a sense that we might actually die, and we go through a set of typical reactions. Usually there is a strong fight or flight response, which involves an adrenaline rush, and causes increased heart rate, an increase in muscle tone in the body and limbs - or there is a freezing response. Often the attention gets very narrowed, which allows the person to focus very intently on the threat. At the time, this is often adaptive. Over the long run that can be very problematic. Additionally, trauma often challenges the basic assumptions that people make about their safety in the world, the trustworthiness of other people, and the extent of their own competence. Is trauma a distinct entity, or is it a matter of degree? The diagnostic criteria make it a very specific thing – where there is a life threat either to oneself or to someone close to you. Usually there is a sense of horror, fear, and helplessness at the time – at least according to the diagnostic manual. Sometimes - for example with military personnel - those immediate reactions aren’t present to the same degree – or they become aware of it only later on. People often say “It happened, and I just got on with my job.” But later a reaction can develop. Why is trauma a problem after it is over? Immediately after the trauma, most people are going to experience typical trauma-related reactions – anxiety, tension, nightmares, intrusive memories, and so on. If they are able to re-establish a sense of safety fairly quickly and have a lot of support so that they can face what has happened to them, then the symptoms tend to go away over the next weeks or months. What we know about PTSD is that when people are not able to do these things, when they avoid reminders of the trauma or thoughts and feelings about the trauma, then they tend to experience symptoms for a longer period of time. We believe that avoidance tends to fuel the disorder. Treatment follows from the cause. So very gradually and in a structured way we get people to talk about what happened, and we have them do things that remind them of the trauma. For example, a person who has been in a terrible car accident might visit the intersection where it happened, or they might practice sitting or riding in a car again. Over time the anxiety tends to decrease while they are in the presence of these reminder cues. It also helps the person to differentiate between what happened in the past and what’s going on right now. As they start to have success with the treatment, people start to rediscover a sense of personal competence again. What will your talk at PsychologySalon be about? It’s important to realize that the talk itself isn’t therapy. I’ll talk about the nature of trauma, typical reactions that people experience, and things that people can do to make it likely that they’ll get through the situation more quickly. Then I’ll talk about what PTSD is, what the treatment looks like, and signs that you or a loved one may benefit from treatment.